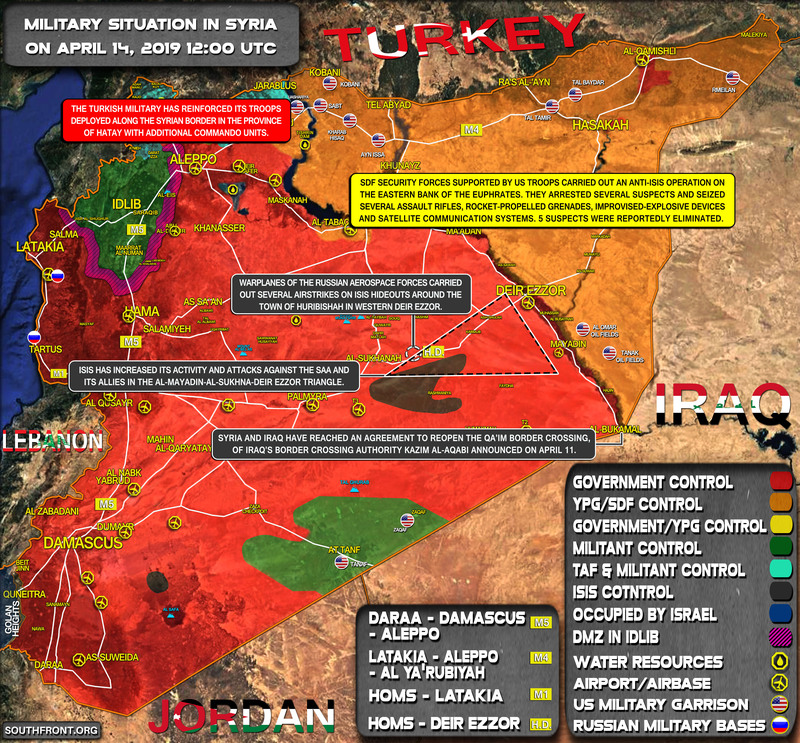 Military Situation In Syria On April 14, 2019 (Map Update) 5 out of 5 based on 2 ratings. 2 user reviews. Syria and Iraq have reached an agreement to reopen the Qa’im border crossing, of Iraq’s Border Crossing Authority Kazim al-Aqabi announced on April 11. Since the end of offensive on this region a great pocket domained by ISIS was left freely. The result: hundreads deads within Syrian Army, NDF and other pro-govt groups. In 2017 I pointed out this huge strategic fail. Now It is happening. Sad negligence.